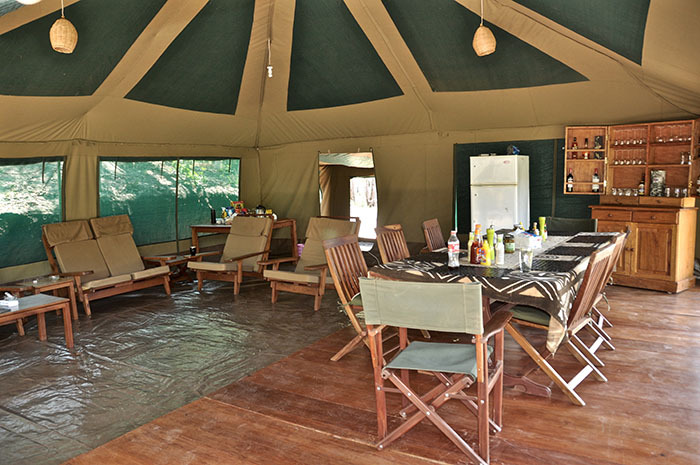 A large thatched roof mess tent with dinning and lounge facilities consisting of Satellite dish and television set are provided. We also like to keep our clients up to date with events that are taking place around the world. The dinning area will have a television set that will offer news, sports and movie channels that will provide added entertainment for everybody. The dining room is fitted with long tables, glistering sliver cutlery, fine white china and starched linen. 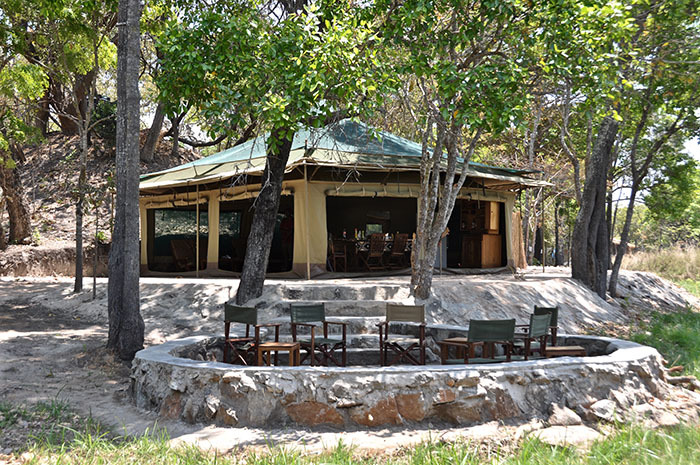 The lounge is located such that it gives you a view of the surroundings and with a fire – pit where you can sit and reminiscent about the day’s hunting events.